Update, December 6, 2017: AMD have just released a statement regarding the confusion between their cut-down and full spec RX 560 cards being sold with the same naming scheme, saying they’re taking steps to remedy the situation right now. Want to know how all these Compute Units translate to performance? Here are the best graphics cards around. Fingers crossed this will mean there won’t be any more poor folk picking up what is essentially the RX 560D designed for the Chinese cafe market, with 896 GCN cores, instead of the standard RX 560 with 1,024 GCN cores. And for the people who have already fallen foul of the lack of “clear delineation,” AMD is at least sorry. Original story, December 6, 2017: AMD’s RX 560 graphics card is now available worldwide in two varying loadouts, albeit under the same name – one with the full 16 CUs and 1,024 Stream Processors, and another with 14 CUs and only 896 Stream Processors. But it’s seemingly up to the customer to make sure they delve into the specs sheets and purchase the right one. The cut-down RX 560 is nothing new for AMD. 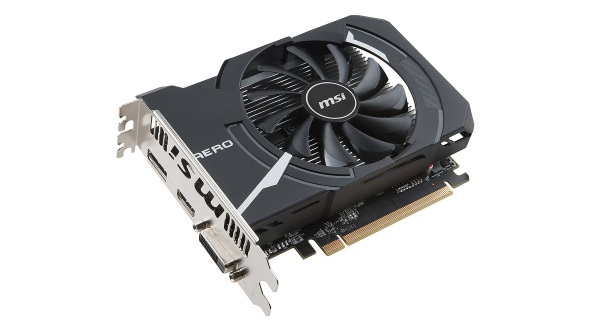 The card is essentially a rebadged RX 460 designed for the Chinese PC cafe market, with a ‘D’ suffix attached to allow customers to determine the semi-skimmed version from its full-fat sibling. Unfortunately, while the card has now been made available to the rest of the world, the identifying nomenclature has had a little more trouble crossing borders. 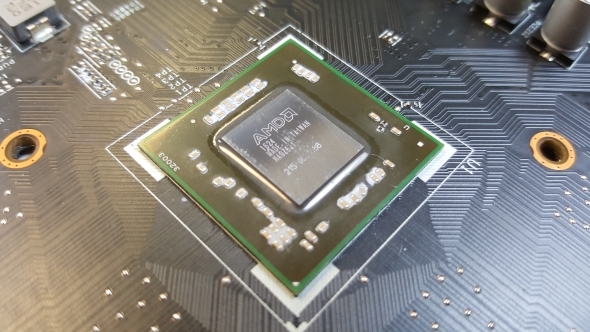 The RX 460 had originally seen a bump in GCN Compute Units with the refreshed Polaris 20 and 21 GPUs when it was shifted over to the 500 series, and the 560D essentially reverts this generational improvement. Unfortunately, reports of customers who have already fallen prey to the lack of distinction between the ‘old’ RX 560 and the ‘new’ RX 560 are emerging, often only finding out about their three-digit Stream processor count, and Polaris 11 ‘Baffin’ GPU, once the card is installed. It seems AMD have thrown the ball very much into their AIB partners court to make the differentiation, but it seems this has, instead, rolled straight to the customer – who now must be extra vigilant when purchasing graphics cards. Unfortunately, the number of CUs or Stream Processors is not often available on AIB partner’s product boxes, or on some retailers websites, leaving the customer in a difficult position. With manufacturers, AIB partners, and retailers all passing the buck, surely AMD need to step up to the plate and offer some clear guidelines on the further sale of these cut-down cards? Users are coining the phrase ‘896’d’ for those unfortunate to have bought an RX 460 in RX 560 clothing. AMD might want to wrap this issue up before they get ‘970’d’, too. Rebranding cards, or offering cut-down alternatives, is not a rare occurrence for large GPU makers, but it’s unacceptable to leave the burden of picking the correct card – via intricate specs alone – to the customer. The buck will always end at AMD to police this issue among their AIB partners, ideally with some identifying denomination that is clearly indicated, and not leave their customers in the dark over identically named options.